BALTIMORE â Dec. 23, 2014 â Donations from employees at Northrop Grumman Corporation's (NYSE:NOC) Linthicum-based Electronic Systems sector helped make the holidays brighter for hundreds of area residents in need through several volunteer efforts. More than 200 people in need were helped through The Christmas Project, a 501(c)(3) nonprofit organized and managed by Northrop Grumman volunteers that benefits children with special needs in schools or group homes, as well as adults living in rehab centers and senior citizens living in nursing homes. Now in its 48th year, The Christmas Project is funded by monetary donations that are used to purchase items requested by organizations for their residents. This year, The Christmas Project raised over $40,000 in donations to help several organizations including: Linwood Center School and Home, a treatment and training center in Ellicott City for autistic children; Maiden Choice School, a school in Arbutus that provides programs for children from ages 3 to 21 who have significant cognitive disabilities; Maryland Baptist Aged Home, a place for elderly citizens of Baltimore City who have no family to care for them; and Christopher's Place, a rehabilitation and work training center for 60 men who are trying to turn their lives around. A Toys for Tots drive was organized and supported by members of several Northrop Grumman Employee Resource Groups (ERGs), which are volunteer employee groups that provide members with opportunities for networking, community outreach, professional development and recruiting. 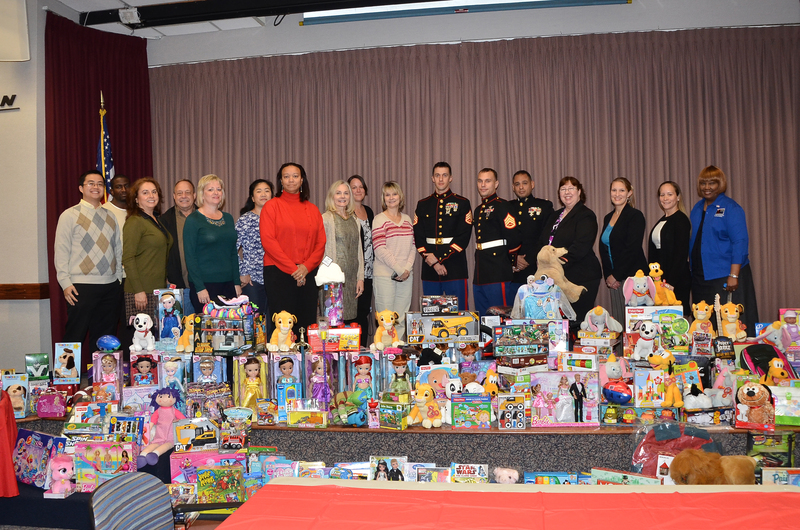 This year, employees donated more than 400 toys for underprivileged children in greater Baltimore. Northrop Grumman employees filled more than 800 holiday care packages for deployed members of our armed services. The holiday care packages will be delivered in time for military men and women to open on Christmas. Gen2Gen, a company ERG that bridges junior and experienced professionals, partnered with OneWarmCoat.org to donate new and gently used coats to A Step Forward, which provides housing and support for those recovering from substance abuse or other life-threatening issues. More than 1,000 items were donated, including coats, mittens, gloves, hats, scarves and sweatshirts for people of all ages. Employees also collected 2,950 pounds of food for donation to the 501(c)(3) nonprofit Food Link, located in Annapolis. Food Link strives to alleviate hunger in communities by offering assistance to families and individuals who have been turned away by traditional support programs.